Anyone who’s friends with me now, knows that if I had received that text today, I would have dropped everything I was doing and run home to see this glorious creature for myself. But Emily of 12 years ago? Yeah, she absolutely hated cats. All of this was in direct contrast to my mum. Her friends told me that as a young nurse living up north she could often be found roaming the local streets with tins of tuna for the local stray cats. And before she had me, she had two cats herself – Bimbo and Fred – but was forced to give them up when I was born due to my nan’s belief that they would 100% definitely fall asleep on me. All of this meant that as I was growing up I had no animals in my life (aside from a couple of hamsters that I would inevitably lose interest in after a few months), and most definitely had no interest in getting my own cat. 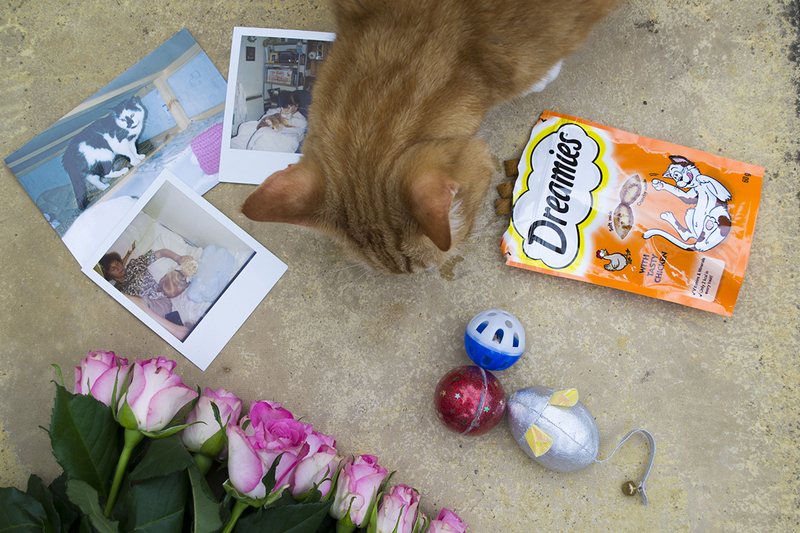 It was only when my mum brought this ginger cat into our lives that my fear of cats started to thaw. It took a while, though. I came home from school on the day he came to live with us, and quickly flew into my bedroom and locked the door behind me until mum came home. She explained to me that the cat’s owner – one of her elderly patients – had sadly passed away, and his family had decided to put Sandy to sleep. My mum couldn’t bear to let anything happen to him. Even if he was a 16-year old cat, he was still physically fine (if a little narcissistic with a hatred of every other cat in the world). So, with no cat carrier to hand, she ran round with a blanket, scooped up this poor little elderly cat, and drove him back to ours. 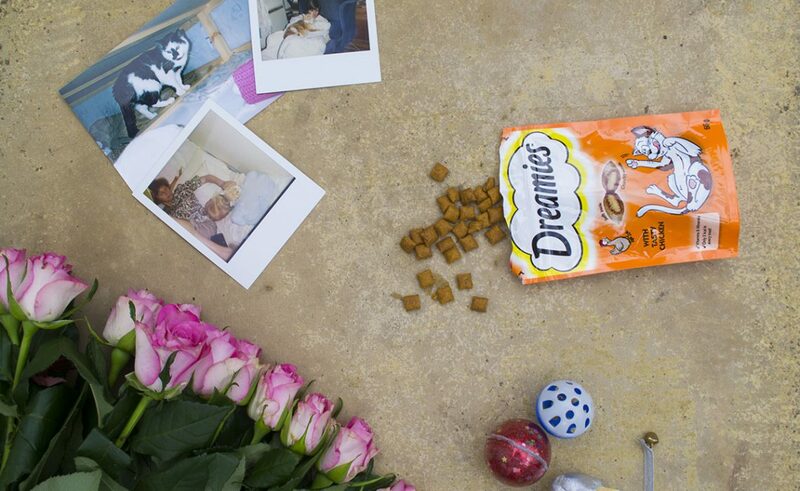 By the way, if you’re thinking of setting up a flatlay shoot using Dreamies…just don’t. It’s a recipe for disaster. I put my love of ginger cats down to Sandy. I went from jumping on the sofa to get away from him, to walking around the flat with him in my arms like a baby. I was a girl OBSESSED with this orange cat. I can’t even begin to tell you how much joy he brought into my life. I remember one day I came home from school with the flu, feeling like absolute sh*te. I fell into bed and just 10 seconds later, Sandy had jumped up into bed and curled up with me, staying there the entire night. He was so gentle and loving, he completely changed my perspective of cats. Over the years my mum and I had several cats; there was Rosie, the grumpy old tabby. Thomas, the 18-year-old cow cat who couldn’t clean himself properly. And then there was Florrie, the abandoned cat we rescued off the streets of Southend. And now, of course, there’s Jim and Ralph. I was asked by Petplan Pet Insurance to tell you all about my beloved pet story with Jim and Ralph. I hope you’ll excuse the 600-odd words of waffle up there ^^ but I think this little pre-amble of just how I’ve grown from a cat-a-phobe into a 27-year-old cat lady just goes to show how special cats can be. It’s only since I’ve spent time with them that I’ve realised just how much they can actually transform your life. And no, I’m not exaggerating! 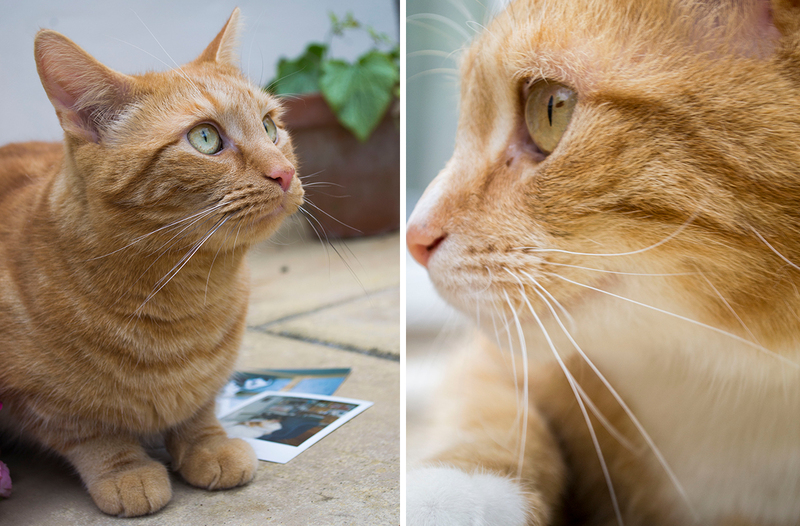 Today, I live in London with my two ginger cats Jim, 6, and Ralph, 4. (And my boyfriend Ian, but he’s not a cat or ginger, so we’ll save him for another post). They’re both rescues – Jim was found as a kitten, abandoned in a car park, while Ralph, his siblings and his mum were rescued from someone who was using the mum to churn out kittens every few months. And, similarly, these little boys have rescued me from some of the darkest days in my life. What’s a hard thing to describe to people who don’t *have* cats, is that I don’t look at my two gingers and see two animals. I look at them and see my two family members who’ve been through thick and thin with me. They’re a part of the Ray family just as much as my mum and grandad are. They’ve always been the little lights of my life, but when my mum got sick they really stepped up their ginger game. They would both curl up on her bed with her while I was at work to keep her company, and when the sadness and the fear became too much, they would strut into the room to provide a momentary distraction while we both gave them all the cuddles. They’d make us laugh with their adorable little foibles; Jim getting stuck up trees and Ralph trying to eat whatever food was on my mum’s plate, and they seemed to always instinctively know when their presence was needed. When my mum passed away, it was them that stopped me tumbling into a deep pit of depression. Because, have you ever tried to stay in bed for a whole day while there are hungry cats around? Let me tell you, it’s about as impossible as me managing to stay away during any movie that’s longer than 2 hours. It’s just not going to happen. LOOK AT RALPH’S PAWS. JUST LOOK AT THEM. These two boys have been the one constant in my life. They don’t judge, they don’t go off in a huff with you for an apparent reason, and they don’t talk about you behind your back (at least, I don’t think they do. But if I find out otherwise, I’m going to have words). They’re all just about the love, following me from room to room, nuzzling me with their heads when I’m feeding them, and jumping up for cuddles when I go to bed. 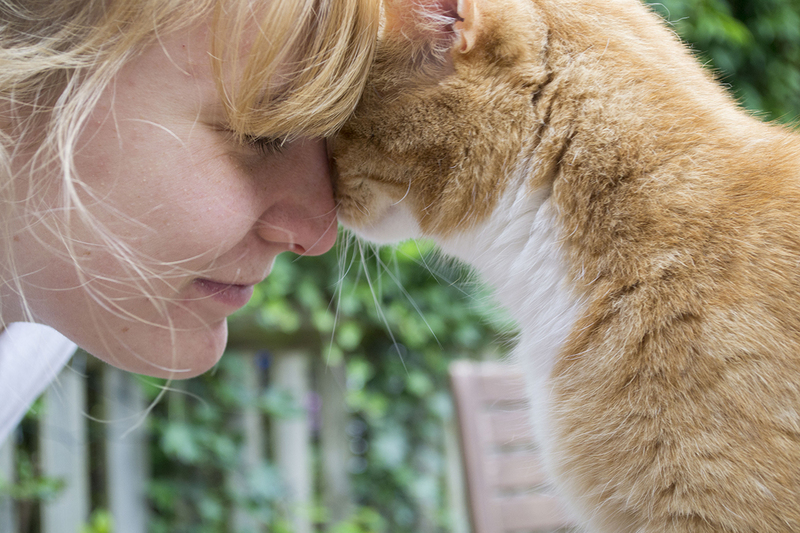 This post was created in collaboration with Petplan Pet Insurance, but all thoughts, photos and love for gingers are my own. I’ve genuinely used Petplan to insure both Jim and Ralph since they were kittens, so can highly recommend them! 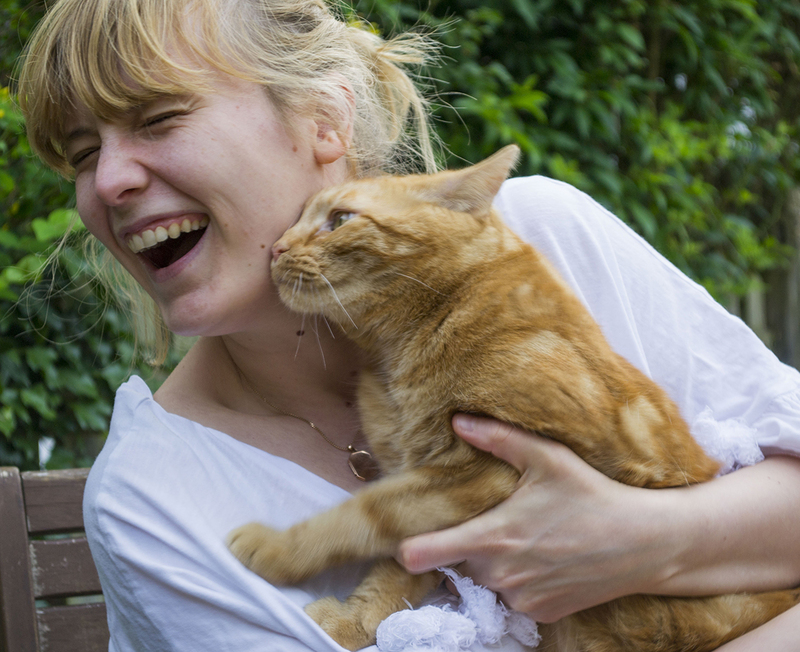 As a fellow cat addict, I hear out – they are the best creatures!